Why don’t shop-bought biscuits ever taste this good? 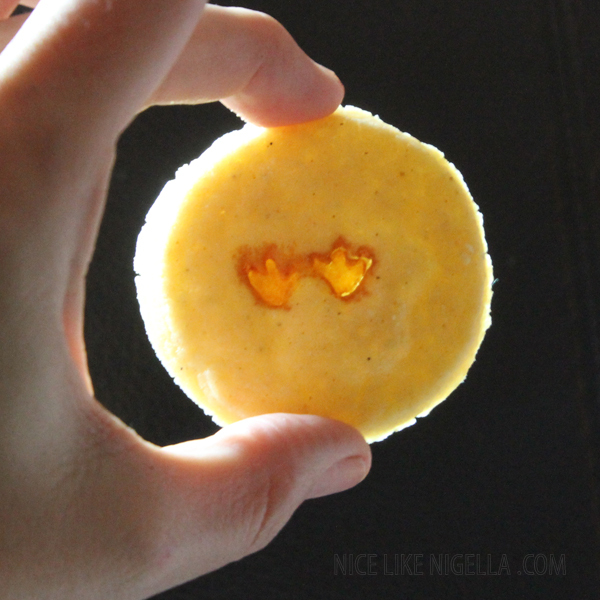 It’s easy to forget that you can make savoury biscuits for kids too. As long as you remember to point out that they’re CHEESY biscuits so that the kids don’t expect them to taste sugary, then these will be a big hit. It was the dinosaur footprints which sealed the deal for my 7 year old, especially when he realized it was one of his dinosaurs which had made the footprints when I wasn’t looking (I just DON’T know how those footprints got there, what a NAUGHTY dinosaur!) Even though he’s 7 and is MUCH too old for that sort of thing, he still giggled and then wolfed them down. They scored an impressive 9 and a half out of 10 apparently. I was later told they would have scored 10/10 but he wasn’t sure about eating the footprints even though I promised they really were Marmite (he’s not so relaxed about the whole dirt idea). 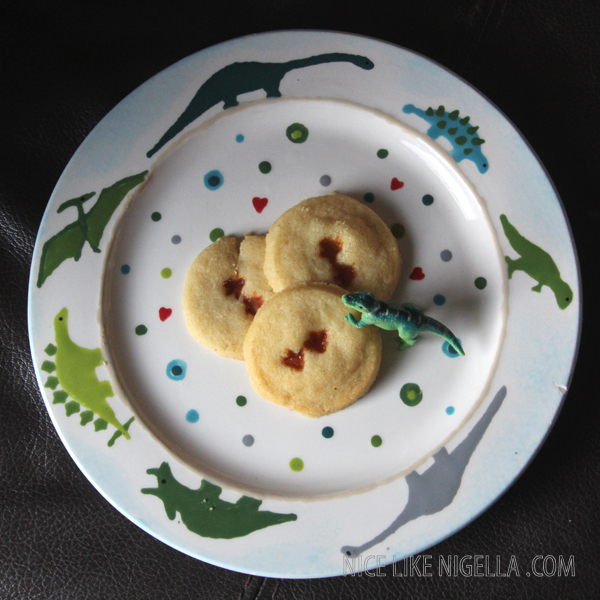 The great thing about these biscuits is that they’re tasty enough for grown-ups too. They’re light and buttery and rich and crumbly and oh so very moreish! Just serve with a glass of red wine instead of a cup of juice. Put the butter, Parmesan, flour, salt and pepper in a mixer until it comes together to form a loose dough. Turn the dough into a lightly floured surface and roll out until about 5mm thick. Don’t knead or overwork it, just press together into a ball and then roll. Cut out rounds using a floured biscuit cutter (I used the top of a jam jar approx 4cm across). Place the biscuits on baking tray and then have some fun. 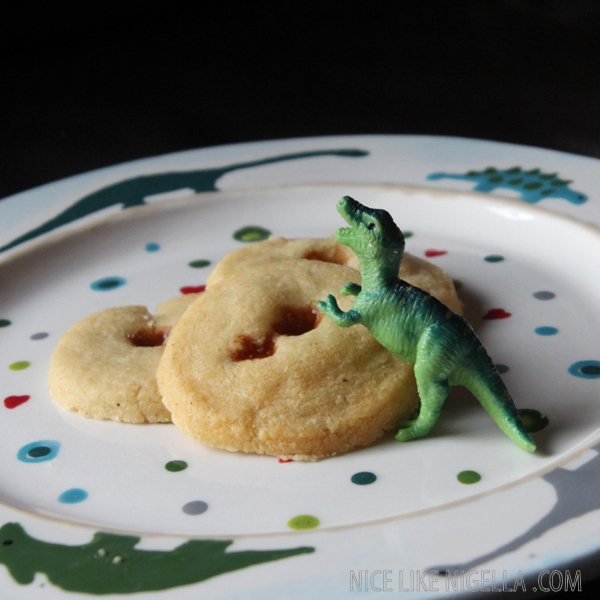 First the toy dinosaur needs to stamp in a puddle of Marmite, then he needs to carefully press his footprints into the surface of the biscuit dough. Bake for around 8 minutes at 180 degrees C.
thanks 🙂 I’ve been eating them all day, v. tasty!